This super concentrated washing up liquid from the Detergent brand of cleaning products is ideal for use in private properties, workplaces and commercial premises. It is an easy to use product that effectively cleans crockery and kitchen utensils. It comes in a 500ml bottle and can be bought online as part of a bulk buy option. This Washing Up Liquid is from the Janitorial Direct own brand. It is ideal for use in commercial kitchens. This Washing Up Liquid is specially formulated to cut through the toughest grease and grime with ease; while leaving behind a pleasant lemon scent. It comes in a 5 litre bottle that is available to buy online and as part of a bulk buy option. 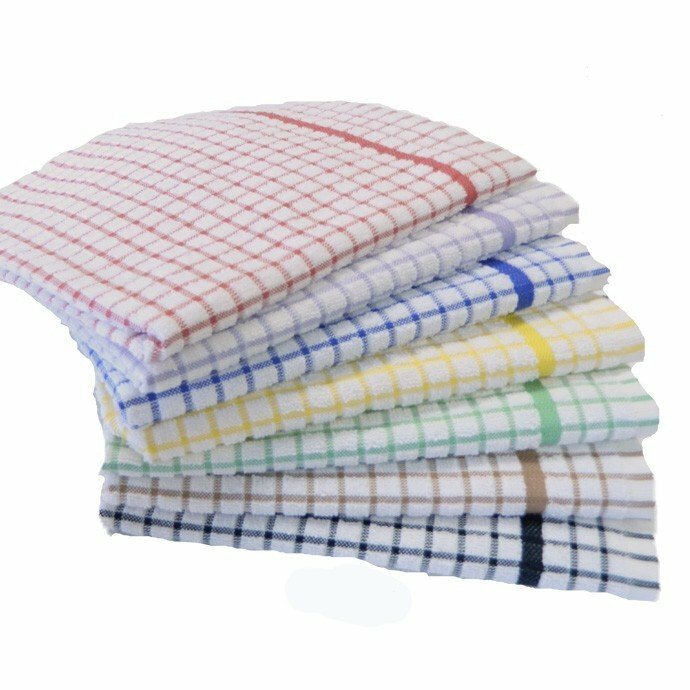 Checked terry tea towels. Great for all kitchen areas. Machine washable for everyday use.